I moved to a new apartment last weekend. And in the process of packing up, I came face to face with just how much “stuff” I was holding onto. Stuff I didn’t even know was there, because it was tucked away, out of view, or in some cases it had been in plain sight for so long it had disappeared into the landscape of the place. This got me thinking… where else in my life am I holding on to things that I don’t even know I’m holding onto? What habits, emotions, thought-patterns, and ways of being are still with me, part of my landscape, even though I don’t need or want them anymore? The physical gripping of my joints was released in tandem with all the little odds and ends that had been crowding my closets and cubbies, with the pieces of the past that I no longer needed. As I LET GO of these physical things, I started to notice additional mental and emotional things that I could let go of – these habits and thought patterns that were keeping me from the fullest expression of myself in this life. It’s the itch. That feeling inside that there’s MORE… You contemplate growing or transforming. You may ask: What is my purpose? What am I meant to do? How can I contribute more? Join Jennifer Alexander and Gina Marotta, women who’ve walked in your shoes and asked the same questions, for a mind-body-spirit workshop designed to help you open up to the fullest expression of your unique gifts. Grab your spot here! So blessed to be singin’ up a storm with Rich Logan and the gang! 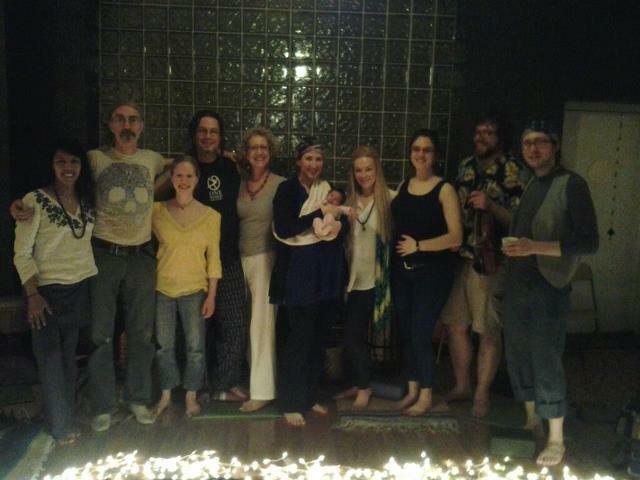 This is from our last Kirtan at Nature Yoga on April 27th. We’re chanting again tonight at Moksha Yoga Riverwest at 7:30pm…so if you’re in the area and want an amazing night, come join us! I also lead a Group Chanting practice every Tuesday at Moksha Yoga Lakeview immediately following my Hatha 1-2 class. We chant from 1:15-1:45pm each week, and it’s a great way to introduce yourself to this ancient vibrational healing practice. New yoga classes starting next month!